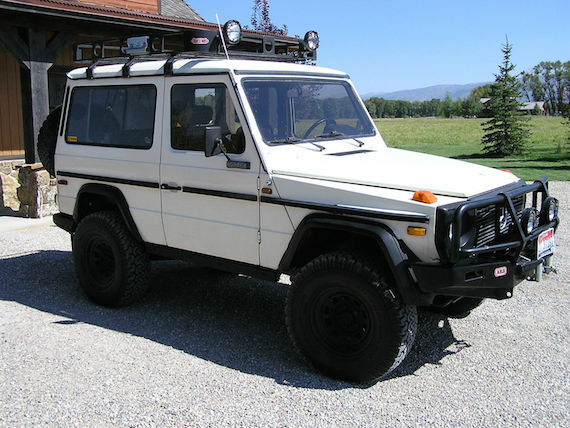 I love finding anti-G55/G63 G-wagens, and here’s one that’s been used hard but is ready to go for more. 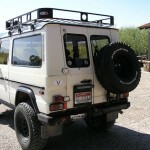 It’s an Idaho off-roader, ready to take on trails and backcountry in a way that fully exploits its original intentions. 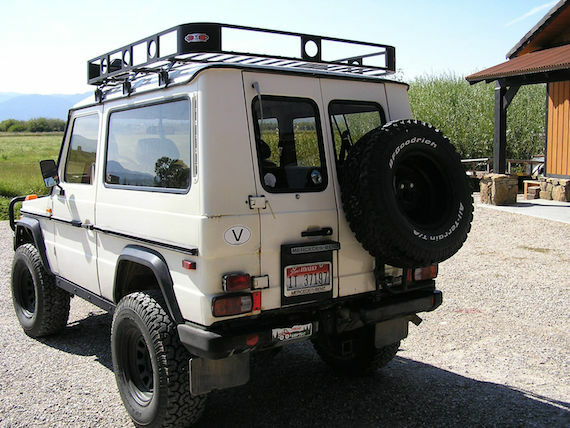 Racks, lights, and big tires all create a great look in addition to being very useful, and the short wheelbase looks like a blast in the hills. 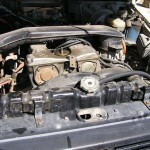 It has low mileage but quite a bit of lurking rust, which should keep the price low. IF you want a rig that always gets comments in the back country bid now bid often. If you have buddies with jeeps that need a rescue vehicle to come get them bid now bid often. Included in sale are a weathergaurd soft cover, original front bumper and hella lights, most service records since 1986, original import paperwork, full set of repair and parts manuals on CD and hardcopy. A wonderful 240 page full color book “The Legend Keeps On Driving” 25 years of Mercedes-Benz G-Class and various other articles and publications about the G-wagen. 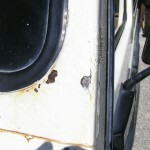 Usual rust areas but sound doors hood floorboards etc. “see pics”, Mechanically sound, runs and shifts good, interior very good condition. Europa import in 1986 by Brian De Palma, I’ve owned since 1999. 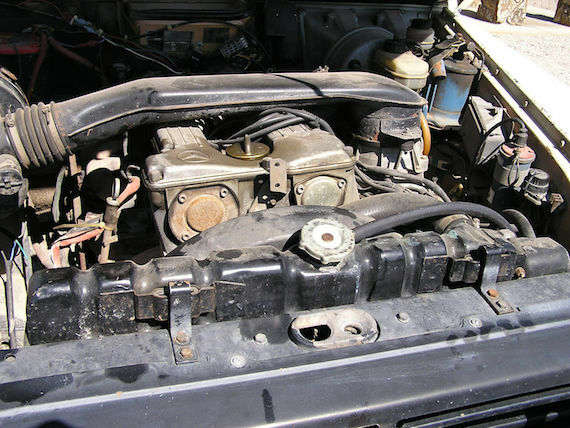 I have replaced exhaust, gas tank, front drive shaft, fuel injectors, steering shock, wheel bearings, tie rod,heavy duty custom wiring harness,radiator, and added 3″ lift,stainless braided brake lines, 5 285 75/16 BFG TA KOs, about 5,000 miles on them. long travel rebuildable shocks, custom rock sliders, custom black 16″wheels with 5″ backspacing ARB front bumper, con-tek roof rack, 9000lb winch, KC flood and driving lights and class 3 hitch. 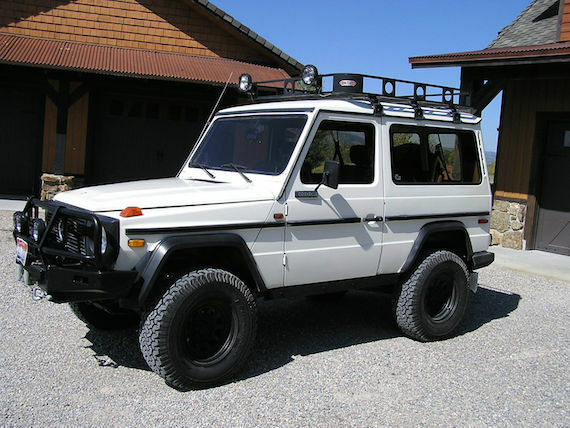 Although this G will run down the highway just fine it is really in its element once you leave the pavement behind, If you want an exceptional off road vehicle, hunting rig, ranch get around or ski chalet vehicle you will love this one. Some things that will need to be done. Front locker hydraulic cylinder needs rebuilt or replaced. 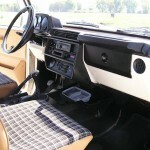 I love that interior; you certainly won’t be seeing anything that cool on your $140k G63, soccer mom! 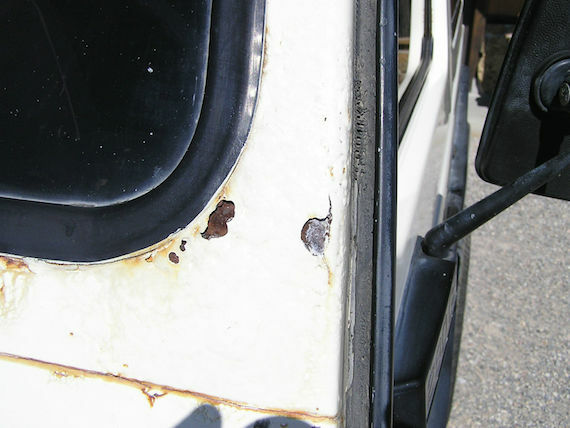 The rust looks pervasive enough that it’s probably best to try to buy this G-wagen cheap, do what you can to prevent any further spread of the cancer, and enjoy it for what it is. 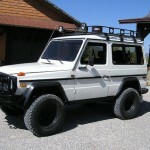 I love the look and the capability, as it appears a million miles away from the G-wagens I see all over the Bay Area. Without the rust, this could reach over $20k, but as it is it’s probably worth somewhere between $10-15k. I still think at that price it’s worth a hard look as a unique and awesome off-roader. 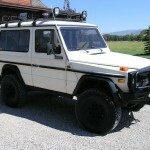 Tagged 1980, 280GE, G-wagen, Gelandewagen, off-road, white. I remember the ads for Europa (in NM?) in the back of European Car magazine in the ’90s, I wonder what, if any “federalization” was needed at that time on these vehicles. 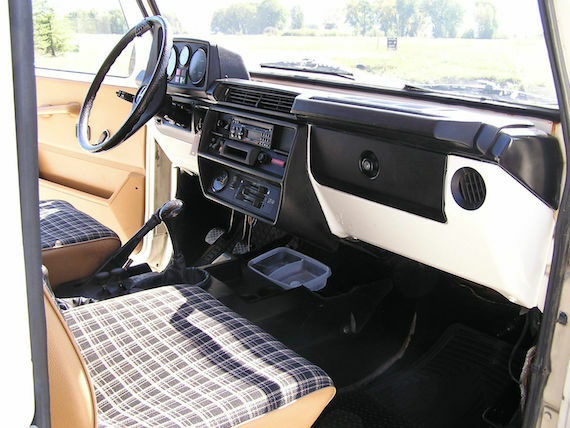 I would sleep fine at night buying one that’s been in the USA for some time, but very hesitant to buy one “for import/to order” like you see in some ebay auctions (though mainly for LR Defenders, not these as much)…especially after the recent grey market Defender seizures in the news. “Europa import in 1986 by Brian De Palma” as in Director of the Pacino Scarface remake? That’s worth the the asking price alone. Very cool truck.